Home » Unlabelled » The Most Enticing and Magnificent Sinkhole Ever! 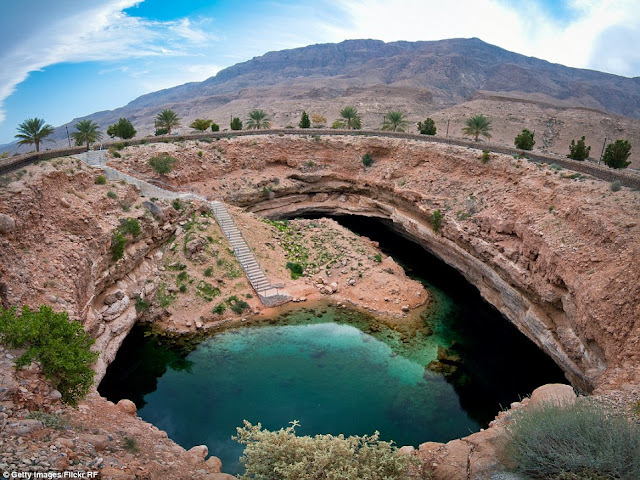 Sinkholes are common where the rock below the land surface is limestone or other carbonate rock, salt beds or rocks that can naturally be dissolved by circulating ground water. 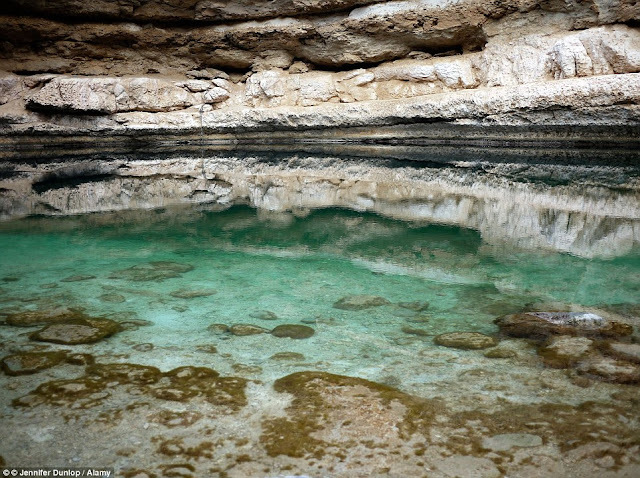 As the rock dissolves, spaces and caverns develop underground. 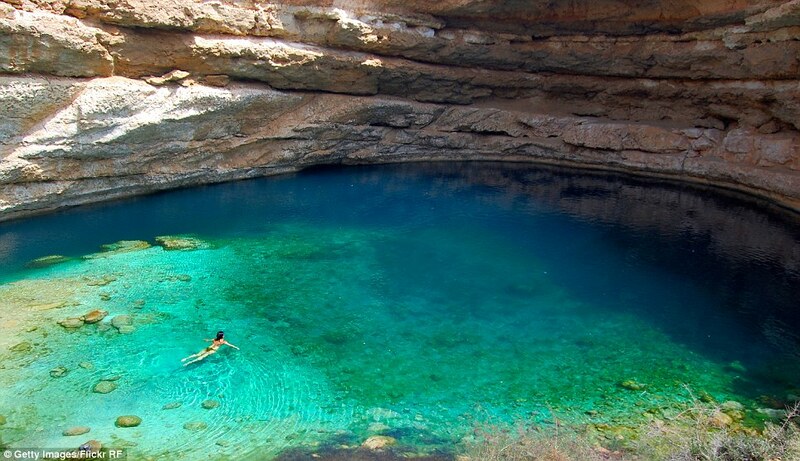 Sinkholes may vary in size from 1 to 600 meters both in diameter and depth. Sinkholes can also be devastating. They can swallow anything, big or small. 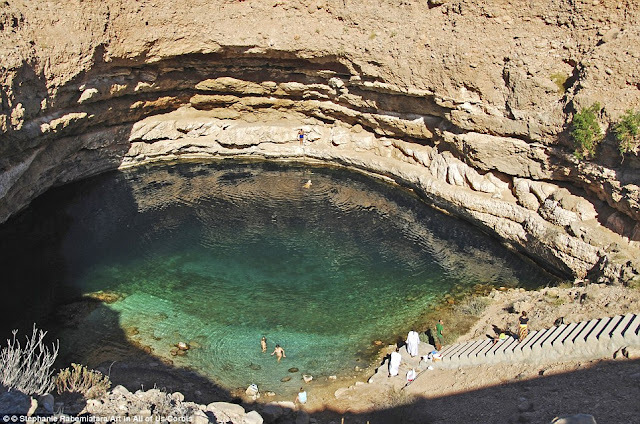 But this one in Oman has become a tourist attraction. While similar holes engulf residential streets or open up in front of despairing home owners, the Bimmah sinkhole has long been attracting tourists eager for a picturesque swim.